If you did not hear the news, HTC announced three new Android based smart phones at the Mobile World Congress 2011 conference in Barcelona last week: Incredible S, Desire S, and Wildfire S. Both the Incredible S and the Desire S are mid-range devices, while the Wildfire S is more affordable low end product. While these specific phones may not be hitting the US market, variants will be available through domestic carriers later this year. The Incredible S and Desire S are mid-range devices which will presumably run Android v2.3 on Qualcomm’s new 1 GHz Snapdragon processor and include 1 GB of internal storage. Unfortunately, HTC does not offer larger internal storage capacity, however a microSD slot allows for up to 32 GB of additional space. These two phones begin to differ when it comes to screen size and camera resolutions. While not as large or as high a resolution as many of its competitors, the Incredible S sports a 4-inch capacitive touch screen with a 480-by-800 pixels resolution. The Desire S has the slightly smaller 3.7-inch capacitive screen with the same resolution, resulting in a higher pixel density. Although both devices have front and rear facing cameras, the Desire S has a fairly standard VGA front facing camera while the Incredible S has a larger 1.3 megapixel resolution. The Desire S also sticks to a standard 5 megapixel rear facing camera, while the Incredible S has a significantly better 8 megapixel one. Also, both smart phones are fully capable of 720p video capture with the rear camera. The Wildfire S is significantly smaller than the previous two phones, it has a 3.2-inch screen with a 320-by-480 pixel resolution. The processor runs at a sluggish 600 MHz which is rather disappointing. Additionally, it has 512 MB of RAM when most smart phones are moving towards 1 GB. Users will want to add extra storage with a microSD card since the phone only offers 512 MB of internal storage. Considering the rather dull specifications, the device has a surprisingly good 5 megapixel camera with auto focus and flash. While I was hoping for some high end phones from HTC at Mobile World Congress, I was disappointed to find that the company only announced mid-range devices. This may be great for the average consumer however, Skatter Tech readers may want to think about pursuing other smart phones such as the HTC Inspire at AT&T or the HTC Thunderbolt at Verizon Wireless. 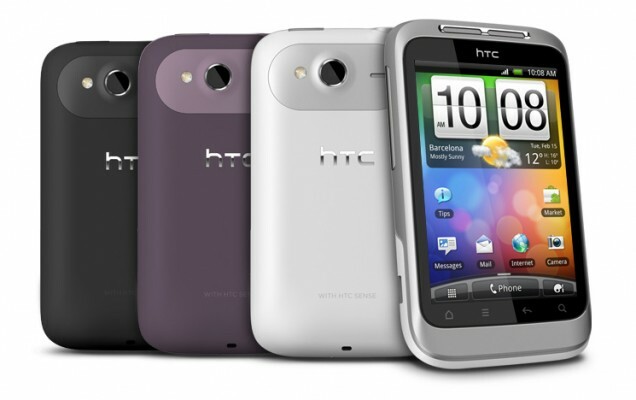 HTC stated that all three phones will be available sometime in Q2 of 2011, so we should see them hit the market in the next few months.